EPC has been producing high quality, professionally designed custom patches and crests for over 14 years with customers located all around the world! 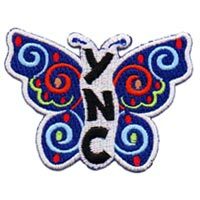 We've created patches for Boy Scouts, Girl Guides, Martial Arts, Fire Departments, Police Departments, businesses, and all kinds of events. 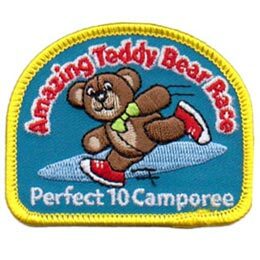 Whether you need a specific design for your camp, club, or for any other reason you can count on us to create a patch for it. 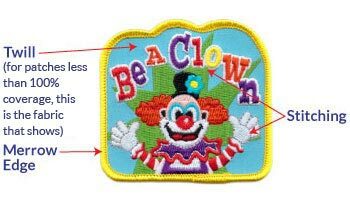 Just follow the simple three step process below to learn how to make your own custom embroidered badge. Sketch or describe your basic design. Have an idea but no sketch? Our graphic designers can help! Fill out our quote form to get started. We will email you a proof to ensure your complete satisfaction. Please review all information, particularly the size, spelling, and colours. Once you approve the design we continue with a stitched sample. 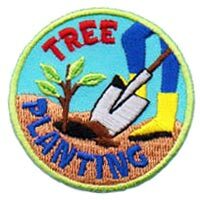 Your patches will be delivered 2-3 weeks after approval. 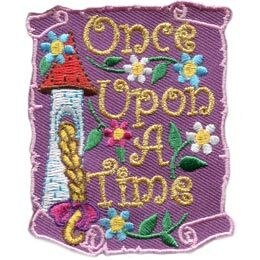 A patch is made up of twill, stitching and a border. We've provided an image below to help illustrate the difference between the three. The example patch shown has a merrow border as opposed to a laser cut border. 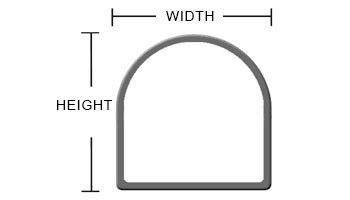 When placing your order please indicate the width of the patch you are looking to create. To determine the overall size of the patch, add the width and height together and divide the total by 2. For example: 4.5" wide x 1.5" high equals 6" and divided by two equals 3" for the overall size. The amount of embroidery is also a consideration when creating a custom patch. Whether the crest is covered in only 50% thread, 75% or completely covered in 100% thread changes how much the patch will cost to produce. The amount of threads can be generally calculated on how much of the twill fabric background shows through when you look at the crest or the amount of fabric that is not covered by threads. 50% coverage with red twill background. 75% coverage with blue twill background. 100% covered in thread. No twill background. 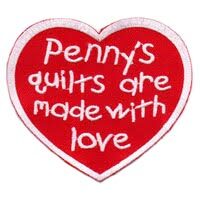 All custom order prices include up to 9 regular thread colours. Metallic and Glow In The Dark are offered at an additional cost.